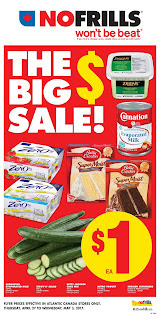 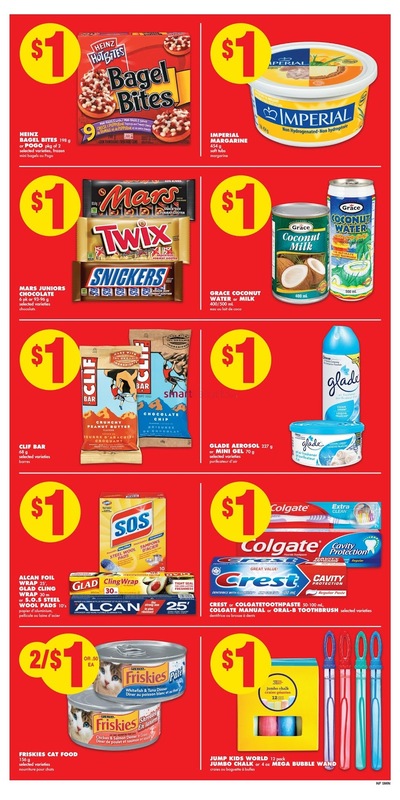 No Frills the Big Sale Flyer! 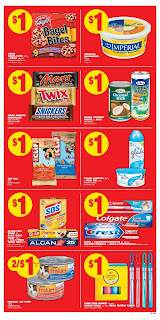 Start shopping for lower prices from the shelf No Frills grocery store flyer to this grocery store Wochenende. 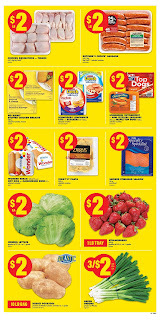 No Frills Flyer April 27 to May 3 They work as a real grocery store. 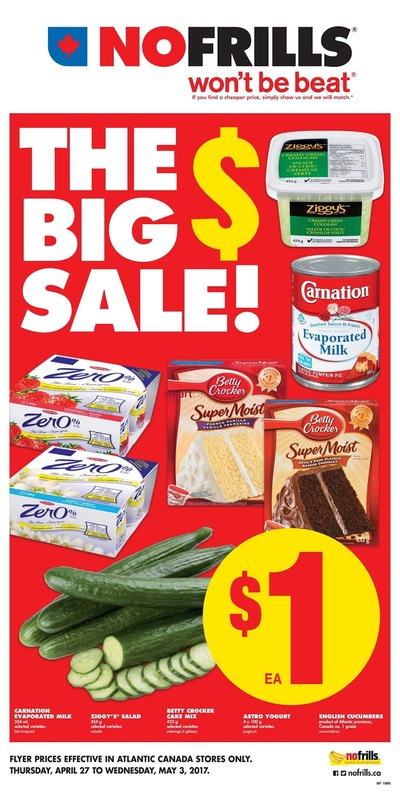 on cover page you can find Carnation evaporated Milk, Ziggy's Salad, Betty Crocker Cake mix, Astro Yogurt 4x100g, English cucumbers. 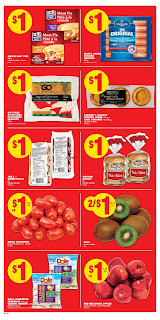 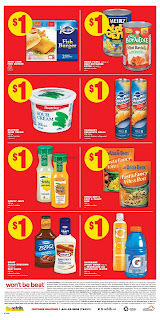 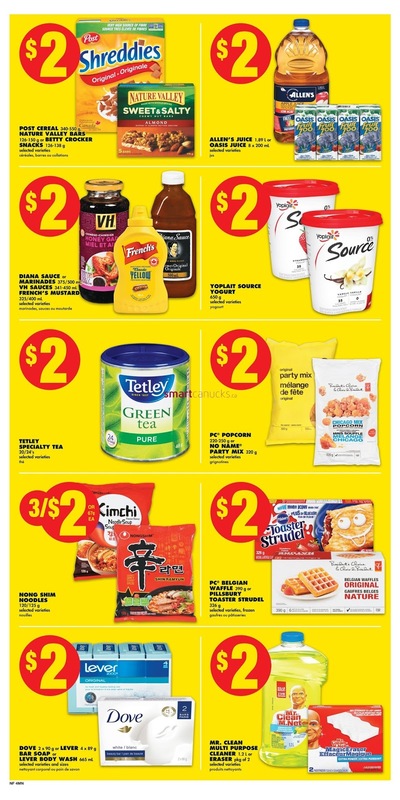 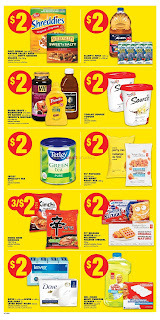 No frills flyer page 2 includes Maple Leaf Pies 200g price $1, Maple lodge chicken wieners 450g price $1, Go Flake Style crab flavoured seafood 200g price $1, Farmer's Market sponge cakes 195g or Cake Squares price 182/185g price $1, Jelly or Creme Rolls prices $1, Weston Bagels prices $1, Roma tomatoes product of mexico no 1# prices !1 lb 2.20/kg, Kiwi Product of italy price 2/$1 or 50 ea, Dole Colourful Coleslaw 397 g or Classic iceberg 340 g prices $1, Red Delicious Apples price $1 lb 2.20/kg. 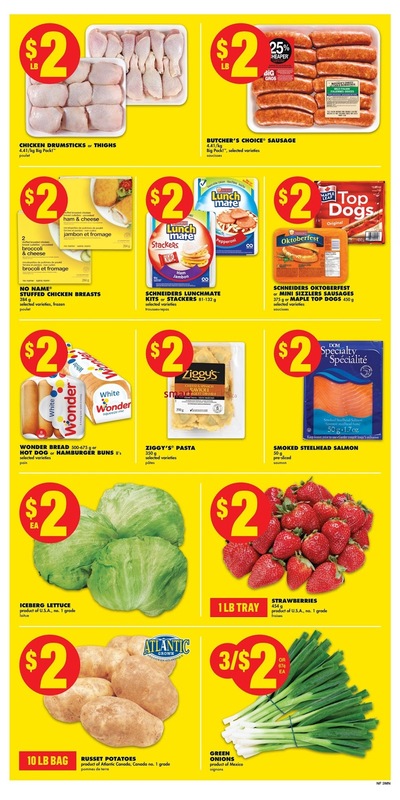 Chicken drumsticks or Thighs available on page 3 prices $2 lb, Buther's Choice sausage prices $2 / lb, Stuffed Chicken breasts prices $2, Schneiders lunchmate kits or Stackers prices $2, Schneiders Oktoberfest or Mini sizzlers sausages 375 g or Maple top Dogs 450g prices $2. 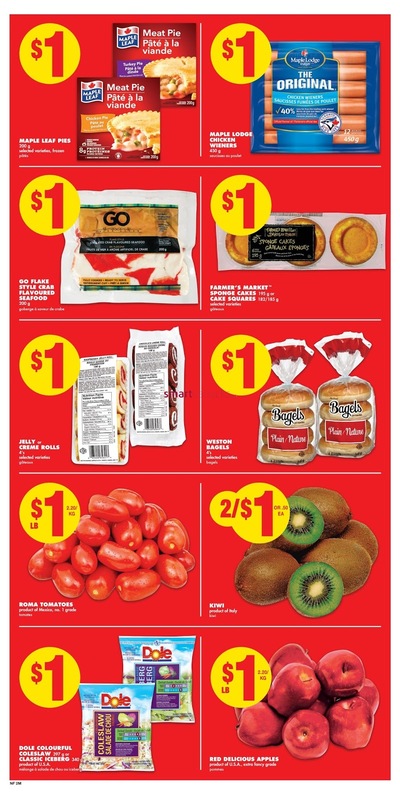 Fresh produce like Iceberg lettuce, Strawberries, Russet potatoes, Green Onions also available on page 3. chekout this page flyer for more details prices. 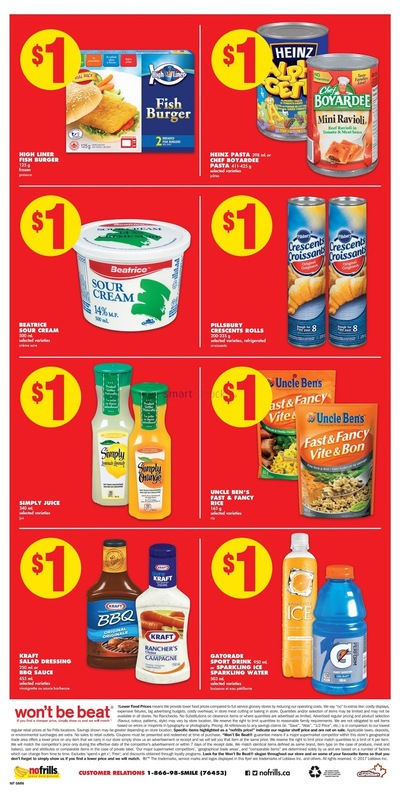 Flyer prices effective in Atlantic Canada Stores only thursday, April to Wednesday, May 3, 2017.